LED Word Clock – Welcome to Cool and Crazy Gadgets! Want to refresh your room with the latest sleek, modern technology? The LED Word Clock provides your living and working space with a contemporary look, with it’s simplistic lighting and it’s uncomplicated shape, it makes a perfect addition to your interior. Ever had a moment where you want to alert the time to someone on the phone or around the house? 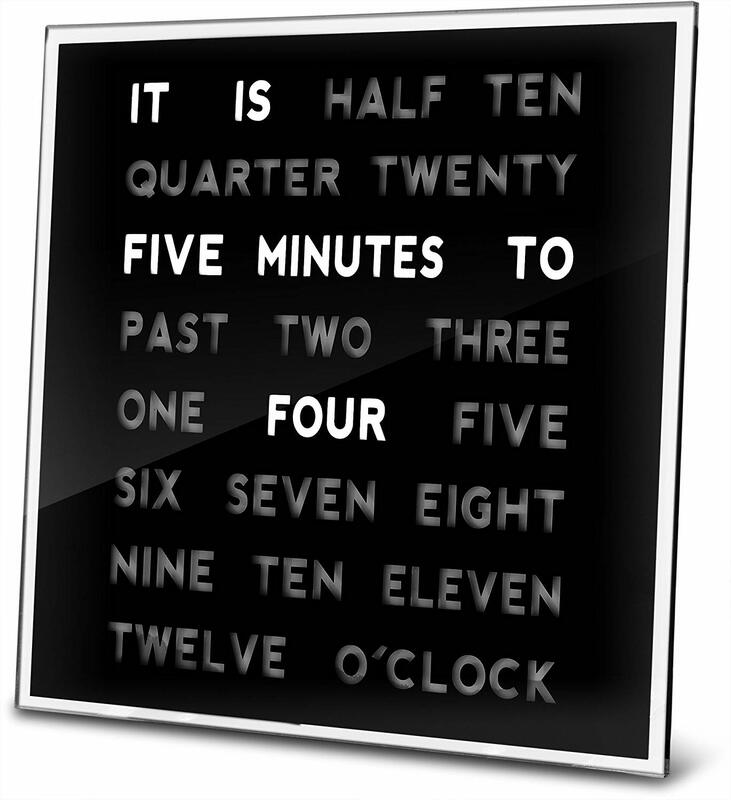 With each unique combination of words, this clock lights up specific phrases that you can read aloud. As an alternative to a conventional analogue clock, this device makes it quicker and easier than ever to know the time in a vibrant way! Whether you would like your clock on your wall or simply placed on the mantelpiece, it comes fitted with a convenient stand. Perfect if you want to spark up your living or dining room with class. Measuring 8 by 8 inches, this clock is small and lightweight enough to mount easily on the wall, whilst also able to fit in any desirable position on a table or mantelpiece. With text large and luminous enough to view from long distances, it makes an ideal ornamental piece, accompanying any of your furniture!